What's guaranteed is that it's happening. For years Jeep has been considering a pickup version of its iconic Wrangler, but either the timing or the marketplace wasn’t right. Things are different today as the , and will be . Specific details are obviously being kept a secret, but there’s still been enough leaked over the past several months to provide us with an overall picture of what Jeep has planned. So we gathered everything we know so far about the 2019 Jeep pickup for your informational enjoyment. For starters, the Jeep truck will be classified as a mid-size, but will still feature four doors. Its bed will be at least 6.5 feet long with Rambox-like storage units. What there won’t be is a hidden trunk in the bed, which is what Honda did with the Ridgeline. Expect its towing capacity to be around 7,000 pounds, even though it’ll have coil springs under the live rear axle. A rear-end tow package, specifically for stiffening and strengthening the vehicle’s backside, will be optional. Despite extensive exterior modifications, the Jeep pickup’s interior will be nearly identical to that of the new Wrangler. It’s also possible a . Under the hood will lie the latest version of Fiat Chrysler’s Pentastar 3.6-liter V6, which will produce around 300 horsepower. 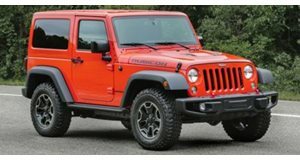 A diesel option is all but guaranteed, but we don’t know which diesel engine Jeep will opt for. The choices come down to the Ram 1500 and Jeep Grand Cherokee’s 3.0-liter V6 EcoDiesel with 420 lb-ft of torque, or the 3.0-liter inline-four EcoDiesel found in the Ram ProMaster. It’s possible both could be offered. 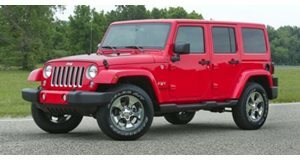 Production will take place alongside the Wrangler and Wrangler Unlimited in Toledo, Ohio. The Wrangler is expected to arrive for 2018 and the following year its truck counterpart will have the spotlight. We can hardly wait for both.